On 25 July 2018 the Technology and Construction Court (“TCC”) handed down judgment in a case which will be of great interest to AGS members: BDW Trading Ltd v Integral Geotechnique (Wales) Ltd  EWHC 1915 (TCC). In the judgment, the TCC provided useful guidance regarding where the duty of care sits when a geotechnical engineer’s report prepared for the seller of land is relied on by the purchaser and what constitutes negligence when considering the content of such reports. Bridgend County Borough Council (“the Council”) owned the site in question (“the Site”) and intended to sell it for housing development after obtaining planning permission. 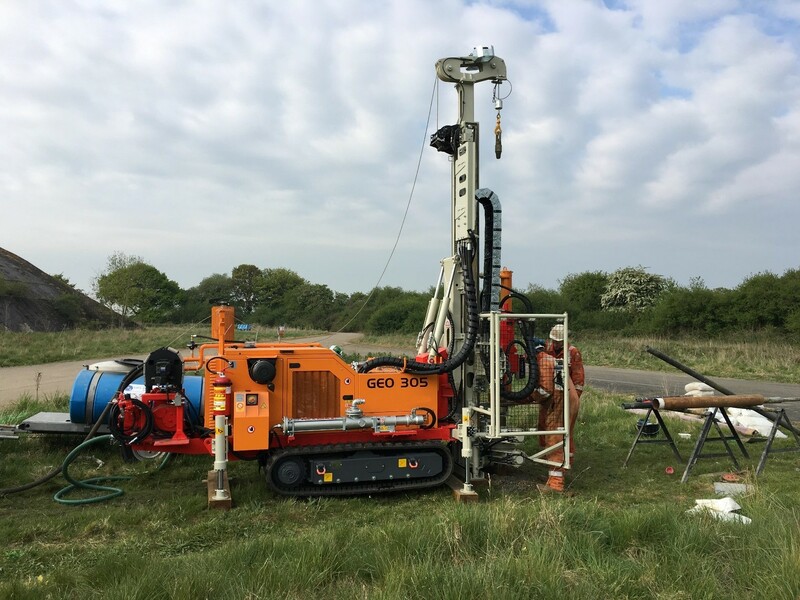 The Council commissioned a geotechnical report from Integral Geotechnique (Wales) Ltd (“IGL”) which was included in the package of information sent out to potential purchasers. Following the completion of the works, the Council put out a tender for the development of the land investigated by IGL. The tender package (containing the IGL report) was received by residential developer BDW Trading Ltd in June 2012. Almost two years later, BDW purchased the site but did not at any point request or receive an assignment of the benefit of IGL’s report from the Council, nor did they seek any legal document from IGL to permit their reliance on it. They did, however, put queries to IGL regarding some aspects of their report. Groundworks began in 2014 to develop the land and as work progressed extensive asbestos contamination was discovered beneath the grassed-over areas of the Site. Accusing IGL of negligent reporting, BDW sought damages for the cost of asbestos remediation. This claim was based on a perceived failure of IGL to acknowledge the possibility of asbestos contamination in that area of the Site. BDW claimed that had IGL’s investigations and report been non-negligent, the asbestos would have been discovered prior to sale of the site and BDW would have negotiated a reduction in the purchase price accordingly. Once the case was taken to court, it became apparent that BDW had not taken an assignment of the report and therefore had no contractual claim against IGL. However, BDW argued that IGL owed a duty of care in tort on the basis that IGL knew that BDW had received a copy of their report, had read it and relied on it when purchasing the site. The judge also drew a clear distinction between a purchaser “using” the report, in the sense of reading it, asking questions and making decisions based on it, and “relying” on it in the sense of having a legal right to do so. IGL’s knowledge that a third party was “using” the report did not necessarily give rise to a duty of care and did not do so where IGL had provided the report on the understanding that a third party could not rely on the report without taking an assignment. As BDW had no cause of action, it was not strictly necessary for the court to consider the issue of negligence but it did so on an ‘obiter’ basis. The court stressed the importance of reading the report as a whole against the purpose for which the report had been obtained. The judge agreed some parts of the report may be open to criticism: the preliminary conceptual site model failed to identify the risk of ACMs originating from the former structures on site being present within made ground and the contamination section of the report also failed to refer to this risk. However, the Judge also made clear that it was important not to cherry pick sections of the report in isolation and that BDW had a responsibility to appreciate the report only provided provisional conclusions based on the scope of the ground investigation and could not be relied upon as definitive. This is a reassuring judgment for geotechnical engineers and one which will greatly assist in the defence of such claims (which are commonplace) in future. Common sense has prevailed in respect of the court’s warning against “cherry-picking” parts of reports, its endorsement of standard disclaimers as to undiscovered hotspots of contamination, and its acknowledgment that reports prepared for vendors are not expected to protect the commercial interests of purchasers. This judgment also serves as a useful reminder of the significant commercial value of formal assignments of reports (or collateral warranties or letters of reliance) to potential purchasers and other third parties. By agreeing to such mechanisms, consultants are creating entirely new liabilities that they would not otherwise have. Assignments and the like should therefore not be under-sold by AGS members. Further guidance on the assignment of reports can be found in AGS LPA 45. Readers are encouraged to read the full Loss Prevention Alert 68, which can be found here. This article, an edited version of Loss Prevention Alert 68 is, of necessity, generic and is not intended to be a complete or comprehensive statement of the law, nor does it constitute legal or specialist advice. It is intended only to highlight issues that may be of interest to AGS members. Neither the writer, nor AGS, assumes any responsibility for any loss which may arise from accessing, or reliance on the material and all liability is disclaimed accordingly. Professional advice should be taken before applying the content of the Alert to particular circumstances. The LPA, of which this article is an edited version, was prepared by Zita Mansi of BLM in August 2018. Further information and advice is available through the AGS Legal Helpline.